How many IT professionals attend student affairs conferences such as those offered by NASPA and ACPA? I would guess not too many. When I attended the first NASPA Technology Conference in Rhode Island a few years ago, there were only few IT professionals in attendance and those who attended expressed their frustration of the limited topics at the conference as most of the sessions revolved around social media. Why is it that while information and communication technologies do span across student affairs organizations yet there seems to be such a big disconnect between IT staff and student affairs practitioners? Let me add another question, how many Senior Student Affairs Officers (SSAOs) have technology backgrounds to make strategic and tactical decisions for effective and cohesive technology investments for their organizations? How many student affairs organizations have IT directors on their senior directors board? As mentioned in this article about CSAO as Information Technology Managers, SSAOs don’t necessarily have to have deep technical knowledge to be able to act as IT managers, as long as they have the technical staff to be able to provide them with the strategic and tactical guidance when it comes to technology investments and usage. However, if IT directors (or some form of technology leadership position) are not involved at strategic discussions held at the highest student affairs management level, opportunities for valuable input from those who have deep knowledge of the opportunities and pitfalls related to enterprise technology implementations and use are missed. As mentioned above, technology spans across all units of any student affairs organization and as such, the investment and use of technology must be approached from a holistic perspective and aligned with the purpose of student affairs. I had previously advocated for a Dean of Student Affairs Technology position and I firmly believe that this position will need to exist in the future of student affairs. At the core of this position is the understanding of the philosophies, theories, and organizational framework that guide the work of the student affairs profession and the role technologies play within student affairs and the campus. I have read the goals of the ACPA Digital Task Force and NASPA’s Technical Knowledge Community as well as the work they’ve done and I am so grateful these two groups (as well as other similar groups) do exist and for the work they do. I think these groups are framing the right questions and they are leading the profession towards the better use of technologies for student development and learning. I do wish however that more IT leaders are involved with these very important strategic discussions. This lack of involvement of IT leadership at conversations being held at the national level mirrors what I think goes on at the campus levels. The gap between technology professionals and student affairs practitioners need to be eliminated and this starts at the top of student affairs organizations. There needs to be a better understanding on how student affairs as an organization can best effectively serve students through technology and better partnership so technology implementations result in effective use. Technology leaders need to understand what student affairs is about so they can in turn influence their organization to think in the right framework. This understanding must go beyond business processes. Unfortunately, I think this gap will persists as long as technology leaders are not included as a member at the highest level of student affairs management and leadership. 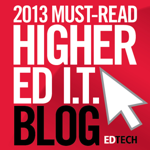 Technology is already a significant component in all facets of student affairs. Technology has played a role in student affairs for several decades as Kevin Guidry shares in this blog post about student affairs technology competency. Moving forward, the new types of technologies and how quickly they evolve will pose challenges and opportunities. This blog post includes what I see as changes in the landscape of consumer technologies and how campus information system providers will need to change their approach in designing applications for devices and how end-users may interact with systems in ways they don’t do today. It will also talk about assessment, the limitations of current systems towards a complete analysis and evaluation of data from different sources, and how to potentially overcome these constraints. The future of student affairs will include consumer technologies including mobile, data, sensors, social media, cloud, wearable computing, and location-based systems. This possibility is by no means a stretch if one is to consider what already exists outside the world of academia and follow consumer technology trends. I’ve written a couple of blog posts about possible scenarios in the near future of student affairs using technologies I mentioned above. This blog post and this also talks about how I think wearable computing, specifically Google Glass, can be used in student affairs. 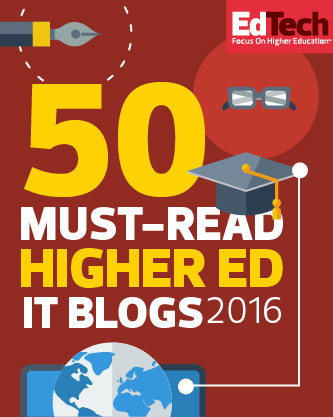 The use of consumer technologies can no longer be ignored by IT and other campus service providers. For one, there are privacy, policy, and ethical considerations that must be addressed as data freely from one device to another enabled by cloud services (Dropbox, Google Drive, etc) and increasing availability of internet connectivity. In addition, the design and development of campus systems must consider how consumers of these systems expect them to work. As it is, legacy systems designed before the wide use of mobile are not mobile-friendly, and campus IT and vendors are still spending their time retro-fitting these systems to provide mobile interfaces. As the development of enterprise campus systems like learning management systems, residential management systems, student information systems, and other administrative systems take years to complete, it’s probably wise to think ahead of what consumer technologies may be available two or three years from now and design for them. I believe one of the major considerations when designing these systems is how users interface with the systems. Most systems available now are through graphical user interface (GUI) such as web sites. However, developers must also think about presenting systems through Conversation User Interface (CUI) which provides user interaction through voice. Apple’s Siri, Google Now, and Microsoft’s Cortana are three technologies that are now available via CUI.In addition to GUI and CUI, developers must also provide users the ability to interface with systems using gestures, which I consider to be part of the Natural User Interface (NUI) approach. Consider the fact that a user can now wink when using Google Glass to take pictures or that a user can use Leap Motion or Kinect to control objects on a screen. Another consideration is the possibility of how data that may have been designed for a specific use today may be used differently in the future. For this reason, it’s wise to design applications to provide these data through services that can be consumed separately and in ways that may not have been thought of before. For example, one set of data that is commonly used across student systems is student demographic data. While in the past, this set of information may have only existed on the campus student information system (admissions, registrar, financial aid), increasingly, functional systems (judicial affairs, housing, etc) often provided by vendors, are now using this information for operational use as well as for assessment/reporting purposes. The older (and most likely used today) is to provide extracts of this data set, and send it to departments responsible for managing these systems via text files, which they then import. A more effective way would be to expose these data through API (application programming interface) including web service which can be used by these other systems without manual actions, given proper permissions. One topic that has gotten more attention in student affairs and involves enterprise systems that cross campus units is assessment. The need for assessment is because of the seemingly greater need for accountability by the government in light of questions surrounding the purpose/effectiveness of higher education as well as to show the value of the work student affairs do. This is in addition towards efforts by departments to improve how they conduct their business (operational) and how effective they are towards meeting student learning outcomes. A major obstacle towards a complete campus assessment, or just within student affairs, is the fact that so many of the systems including student health, counseling, judicial affairs, disabled student programs and other student service systems are not designed to be able to seamlessly communicate and exchange data with each other. This is one of the challenges I discussed in this blog post about Higher Education and Data Liquidity. Moving forward, there has to be a way for these separate systems to be able to communicate and exchange data. At the least, there has to be a way to combine these data into a central database for analysis. One approach to solve this issue would be to have common data format that these systems can use, similar to a common eTranscript system by Parchment which enables high schools and colleges to exchange transcripts electronically. Additionally, a proposal I had recommended is to create a common markup language that can be used across all types of learning institutions. This is a learner centered approach which accounts for the fact that students are no longer receiving or completing their education from a single place, also called the student swirl. It would also be wise for student affairs practitioners as well as IT departments providing support to student affairs units to lead the discussion when it comes to how vendors should design their systems to overcome the constraints above. As it is, there really are not too many vendors focusing on student services who are developing systems that can accommodate the needs of student affairs as whole. A company that can do this would need to have domain expertise in areas within student affairs that are so distinct (student health vs residential life) from each other to be able to develop systems that go beyond just a department or two. I think NASPA and ACPA, the two student affairs national organizations, should lead this charge as they should have a better perspective on what the general needs are across institutions. In leading this charge, they need to work with other organizations representing specific functions within student affairs to understand the specific needs within these areas. 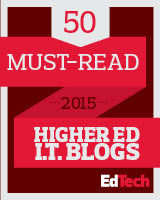 These organizations include but not limited to AACRAO, ACUI, ACUHO-I, and NACE to name a few. There are so many more topics and questions to discuss when it comes to the use of technology in student affairs. This post is just a small piece of that discussion, though I hope it provided readers, like you, some ideas and questions to think about when it comes to the future of student affairs. There is a lot of value in studying other industries outside higher education to gain perspective on issues we face as well as how we may adapt practices and technologies for our use. In the midst of rising student debt, claims of administrative bloat, call for higher accountability, and questions about the value of higher education, it seems there are more discussions about assessment within student affairs to improve quality of services and to provide evidence of our contribution to student success. A key component in assessment is obviously data and the ability to aggregate them from different data sources and perform analysis for different purposes. The fact that information systems even within the same campus do not communicate with each other leads to siloed data. As it relates to assessment, this issue of systems inability to communicate and exchange data, leads to less than accurate analysis and evaluation. In addition, the quality of service provided to students and other customers suffer. As one who oversees our campus suite of student health and counseling information systems, I see some parallels between higher education and the medical care industry when it comes to the challenges related to data. One concept I came across from reading a book called Connected Health: How Mobile Phones, Cloud and Big Data Will Reinvent Healthcare by Jody Ranck is “data liquidity” which the author describes as “the ability to move data from one part of the health system to another”. Another definition offered by this article is “more ways and more choices for patients to own their computable health data thus enabling patients to use their data to get help and advice.” Conceptually, data should be able to move freely from health providers and accessible by patients themselves. The idea that students/learners should own their own data and be portable across institutions is a topic I discussed in this blog post “Common Learning Portfolio Markup Language (CLPML) – A Proposal.” One of the major challenges to this concept I proposed is the lack of a common standard in how data can be shared across student information systems both in terms of data format and interfaces (how different systems communicate). What I do know is that there is an interface standard that exists in the medical industry called HL7 used for clinical applications to communicate. Furthermore, older legacy systems designed to be stand-alone require modifications/enhancements to be able to interface with other systems. These enhancement projects may require significant financial and human resources. For “data liquidity” to improve, other obstacles beyond technology must be overcome. Data privacy rules and policies exist to protect student data but a times, it seems so convenient for some to use the same rules and policies as inappropriate reasons not to share data, even to students themselves, who do have the right to view their own data. Furthermore, some existing data policies do need to be revised to reflect current needs and to reflect technological advances including cloud and mobile computing. In addition, designs of information systems must be designed from the perspective of the customers. It’s too convenient to design systems without consulting with those we serve leading to silos instead of integrated set of student information systems and services. It will be interesting to follow how the medical care industry will address the lack of data liquidity and how solutions they arrive at within their industry can be adapted for higher education. I don’t know about you, but I’m so busy at work just trying to keep up with what we need to build and maintain existing systems for our customers, it’s hard to see what’s coming ahead even a year ahead of us. Projects I work on take months, even a couple of years to build and I’m working on many of them at a time. I’m very busy managing. I think this is the issue posed by Clayton Christensen about disruptive innovation. Organizations miss emerging technologies/opportunities beyond their horizon because they’re too busy trying to meet the demands of their current customers. I can definitely relate to this. If I don’t read books, blog posts, tweets, collaborate with folks outside work, I don’t think I would even know about the larger issues and trends impacting higher education like MOOC, online learning, and student financial debt crisis. I work to satisfy the needs of our university students and our customers but I read/communicate outside my university work to keep up with larger issues. In a way, my interactions/experience with my personal learning network (PLN) which consists of higher education professionals and those outside higher education are what I use to disrupt my day-to-day, localized thinking. There are many ideas, programs I would like to implement at work but the reality is that I first need to satisfy what our customers demand and need. Does that mean I don’t think about new ways to meeting these demands? I absolutely think about new/improved ways, but they cannot be disruptive to a point where what I do severely impacts how they serve their customers in the process. They are incremental improvements. I believe in the idea of learning through failing, but “failures” do cost resources and money so when we implement or try new programs, we better start out with some thoughtful approach and define what we need to accomplish, we just can’t be trying new things just for the sake of experimenting. After all, our salaries and resources we use come from students and their families. So, I go back to the idea of using my PLN and my experience outside my work to explore new ideas, to dream beyond possibilities, and to disrupt my own thinking. I was in with a twitter conversation about technology and graduate programs earlier tonight that got me thinking about the future of student affairs profession. I write this post, I am looking at my Pebble smart watch and waiting for my invite for a Google Glass. I’m thinking about buying this Estimote Beacon and combine it with Leap Motion to experiment with the idea of geo-fencing in my home. These are wearable and sensor technologies that I can’t see us using at work anytime soon (though I think they’ll be as common as smart phones the way it is now). But, it does not mean I can’t dream about what it may be like a few years from now either and imagine a campus so different from what I see now. The topics of change and innovation, specifically those related to technology intrigue me. I read about concepts of disruptive innovation, diffusion of innovation, and continual improvement process and at this point, I’m still trying to wrap my thinking as to how these relate and when can/should they be applied in higher education. Frankly, I have more questions than answers and so I continue to seek new knowledge and perspectives to make sense of it all. I work in the technology field within higher education where I’ve witnessed and implemented business processes, enabled by technology, since the mid 1990’s. In the last few years, it seems the pace at which technologies change have become even faster. Who would have imagined the growth and impact of social media, cloud, mobile, and big data just five years ago? In the last year or so, I started noticing more articles about wearable computing and “internet of things”. The blurring of the lines between computing services and products only available via IT departments years ago and those readily available to consumers , also known as “consumerization of IT“, have only become more pronounced in the last few years. These changes have provided opportunities and introduced new challenges. All these observations have led me to become more interested in trying to anticipate where the future of higher education and technology may be heading. 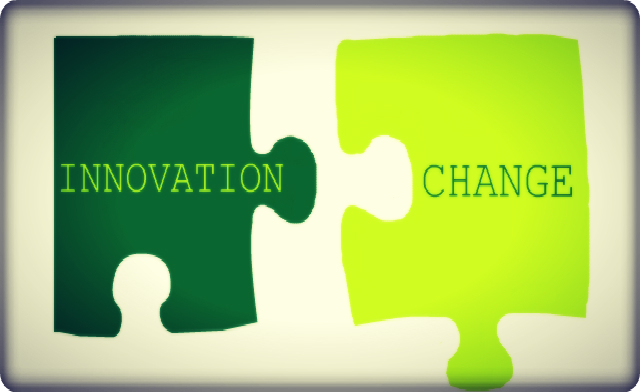 If change and innovation in higher education is only about technology, maybe, just maybe, it would be easy, if not for the fact that change involves culture, politics, traditions, paradigms, and personalities. Technological changes happen within the context of how higher education views itself in terms of its perceived roles (preparing students for careers, to provide civic service by molding students as productive citizens, research) and how it operates (shared governance, teaching methods, funding priorities, etc). There is not a consensus on these views. The role of faculty and teaching methods are now being challenged in light of new learning opportunities provided to students because of technology, including Massive Open Online Courses (MOOC) and personal learning networks. Current technologies have also added a new spin to the old debate of how individuals learn (objectivism vs. constructivism). Beyond philosophical debates about the role of technology in higher education, from practicality’s perspective, it takes time and resources to introduce and implement new ways of using technology. It’s a process and the process involves human emotions. As one who works in IT, my role is a service provider to my university’s communities of staff, faculty, and students. At the core of my responsibility is to make sure the systems they use work properly as they would expect. Network outages and disruption of applications/web services are what we try to avoid. Given that failures, trial-and-error, not-so-perfect systems that lead to disruptions of services are all part of the process when it comes to introducing new systems, how do organizations balance the need to manage for stability and provide room for transformational (and potentially disruptive) innovations? How do organizations gain buy-ins from faculty, staff, students and administrators to adopt new systems and new ways of doing things? I suppose more importantly, the question is when and how do we know when to apply incremental improvements vs. introducing radically new way of doing things and disrupting the system? I’m hoping someone out there in higher education has figured out the answers to the questions I pose above because I have yet to I’ve figured all these out yet. If you have figured it out or have some ideas, let’s talk.